This is our dream. To build a thriving CrossFit community right here in New Castle. We’ve been told this is crazy, that we should take this to Cranberry or somewhere else to open our box. Well we don’t live somewhere else. We live right here in Lawrence county. This is our home and we believe in this area. So if you’re serious about your health, you want to be fit, and you want to be ready for anything life throws at you then join us. Come try one class. It won’t cost you anything but your time. Be warned though, it can be habit forming, possibly addicting and it can change your life. Two years ago I was introduced to CrossFit by a dare from my husband. I was hesitant, due to my then current physical state. I immediately fell in love with all the benefits it offered and how easy it was to incorporate into my lifestyle. I have been coaching athletes since January 2014. I currently hold my CrossFit Level 1 & Level 2. Prior to opening our box I spent 22 years in management for two companies. During my journey I’ve developed a strong desire to help others live better. I believe that an active lifestyle, being strong and making healthy choices will lead to an overall better you. In my spare time I love trail running, bike riding, dogs, good beer and great food! I am very passionate about helping others live their best life! 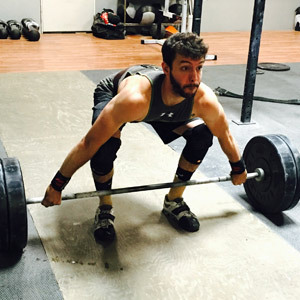 I’ve been doing CrossFit for nearly two years and it is life changing. The challenges you face. The people you meet. Definitely gives you something way beyond getting fit. Tony currently holds a Level 1 license. 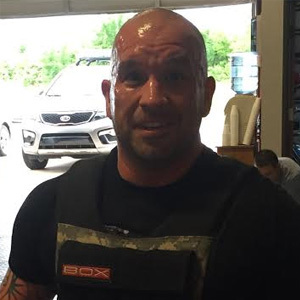 I am a husband, father of 3 children, U.S Army Senior Operations Sergeant (Active), CrossFit Level 1 Trainer, U.S. Army Master Fitness Trainer and CrossFit Athlete. I am Coach Eric! I started my fitness journey nearly 12 years ago upon return from a deployment overseas. Four years ago I was introduced to CrossFit through a friend who convinced me to come try a free Saturday Community Class. Some of the traits I love about CrossFit is the camaraderie, community, and like minded individuals who come together to motivate, drive and encourage each other to challenge themselves past their limits or expectations. The values that I implement are a self reflection of me both in the box and outside. 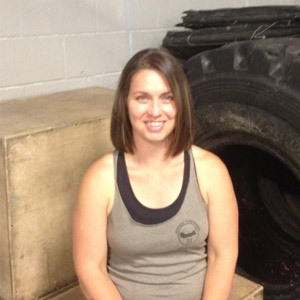 Black Bull CrossFit has owners and coaches who are extremely knowledgeable and care about each and every Athlete. No matter what an individuals fitness level or experience, they are coached by individuals who have an extreme passion for the lifestyle and sport of fitness. Moving effectively, efficiently and safely is a number one priority as a coach. No matter what your goals, my part as a Coach is to support others who want to challenge of accomplishing things they do not think they could achieve and to create Athletes who are better versions of themselves.